Joel Bowman: G’day, Nick. Before we get talking here, perhaps you could tell us where in the wide world you are today? Nick Giambruno: I’m here in Vancouver, Canada, having just attended the excellent Sprott Natural Resources Symposium. Nick Giambruno: That’s right. In fact, I’m off to Eastern Europe shortly, which should be very interesting for a number of reasons. In fact, they’ve largely dodged the two major disasters that have inflicted the rest of Europe in recent times. A handful of the countries I plan on visiting resisted signing up for the euro currency – they wisely retained their own national currencies. I’m not a fan of any politician anywhere—especially so when they are organized as centralized mega-bureaucracy like the EU. Countries retaining control of their currency is a step in the right direction to decentralize power, which in my view is always a good thing. But avoiding the euro doesn’t go nearly further enough. Ideally the State should be out of the business of money altogether, but that’s a story for another day. 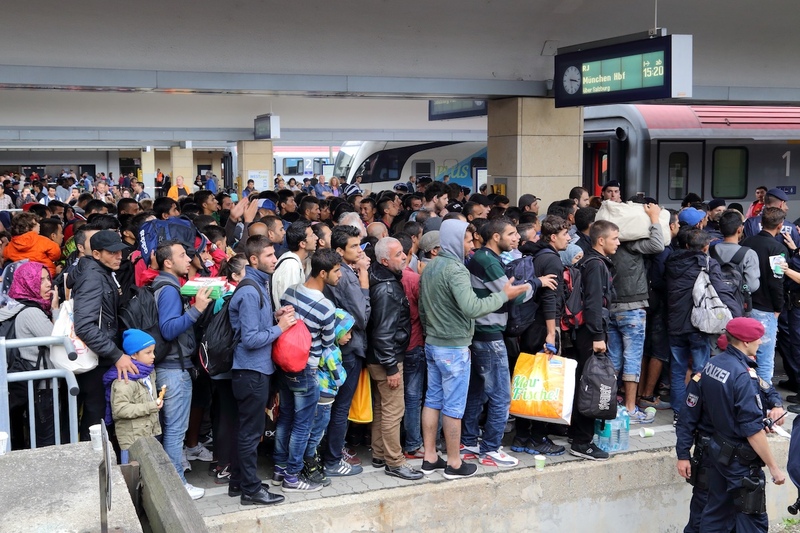 In addition to avoiding the euro, Eastern Europe has largely been able to escape the migrant disaster that is impacting other, western European countries. So those are two bullets the region has mostly dodged. Joel Bowman: It occurs to me that the twin disasters to which you refer are probably not entirely independent from one another. On the one hand you have an enormous, bloated welfare state offering handouts to anyone who crosses their border. On the other, there are desperate people who, while they may well be suffering a real humanitarian crisis, will tend to go to whichever place proffers the richest gifts. Nick Giambruno: Absolutely. Put it this way, Joel. The average person in Sub-Saharan Africa gets by on around $1,000 per year. Now, if they can make their way to Europe, they get roughly that much in welfare benefits per month. Those apparent freebies are an incredible powerful incentive. Put it another way: let’s say Singapore was offering the average American their annual salary in benefits each month to move there. Imagine being able to get $59,000 per month just to move to Singapore. Most reasonable people would find that quite compelling. The welfare state shouldn’t get a pass in this. It’s a major villain in this ongoing tragedy. Joel Bowman: Yes, the state’s narrative in this is sordidly duplicitous. It stirs up nationalist sentiment at home by pointing to the amount of money immigrants “steal” from citizens when, ultimately, the state is the one doing the stealing and redistribution. You would think taxpayers might point the finger of blame at their own government for taking their money in the first place. Nick Giambruno: Right. Unfortunately, there’s probably not a great deal you can do to help the situation, other than to try to help the average person you meet understand the dynamics at play. And even then, you’ll only reach some people. Most people are not going to make this connection. I’ve lately come to the conclusion that, the best you can do is take steps to avoid as much of this stupidity as you can, individually and for your family. The idea that the masses are going to wake up to the evils of the welfare state is, in my opinion, a pipedream. On the contrary, I bet they’re going to demand even more of this poison. Joel Bowman: Speaking about that controversial nexus between immigration and the welfare state, I recently re-watched one of the presidential primary debates from the 1980’s, in which George H.W. Bush and Ronald Reagan outlined their respective positions on immigration reform. Although the two candidates had differing policy proposals, what really struck me was the relatively convivial tone of the conversation. In fact, it seemed almost civilized…especially so when compared to the current state of affairs, in which the public discourse appears to have degraded into a series of hoots and hollers on the one side and virtue signaling and hurt feelings on the other. Is America, through its current mode of political discourse, pulling itself apart at the seams? Nick Giambruno: I grew up in the U.S., and admittedly still have this blue passport which means I’m still stuck on the American tax farm. So I pay attention to the political and social trends there very closely. And it’s truly alarming. Doug Casey, who has been observing the political and economic trends in the US carefully for decades— and is a lot wiser than I am—says this is as divided as he has seen the country during his lifetime. I absolutely agree with him on that. Yet, I think this is quite a logical and predictable outcome. This is the natural endgame of democracy—which is really just mob rule—and a fiat currency system. It’s like a toxic cocktail. Ask yourself, what happens in a fiat currency system? Obviously, over time, the currency loses value. Consequently, people feel pinched as their expenses go up in real terms. They might not be aware of what’s going on behind the scenes, but they sure as hell know it’s getting harder and harder to make ends meet. Then, along come these Santa Clause politicians who promise everyone freebies. It’s a very easy to understand relationship. Of course, the Santa Clause politicians have to pay for all these promises. So what do they do? They print more money, taking us right back to the beginning. And that’s how the cycle perpetuates itself, and gets worse over time. And you can see it in the statistics. At this stage, more than half the population in the U.S. is made up of net welfare recipients. I realize that’s a controversial thing to say, but it’s just a fact. Ask yourself, how many of those people are going to vote to get less in welfare benefits? But let me take a step back and address exactly what I mean by welfare recipient. Allow me to use one of these popular political buzzwords as of late—“inclusive.” I want to be inclusive about my definition of welfare recipients. It should include government employees, as well as companies like Lockheed Martin and Goldman Sachs, which exist largely on political dollars as opposed to free market dollars. These aren’t entities of the free-market. These are every bit the welfare recipients too, only corporation-sized. I think we’re reaching the natural, terminal stage of the democracy-fiat currency experiment. And I predict it won’t end well for most people. Joel Bowman: It’s interesting that you poke the sacred cow of democracy. Most people tend to forget; it wasn’t long after the Greeks gifted this grand political system to the world when they voted, by majority, to kill their great philosopher, Socrates. I think it was his student, Plato, who said that democracy was doomed to end in tyranny. Are we, in your opinion, doomed to that foretold outcome? Is tyranny on the horizon? Nick Giambruno: I think it’s very clear we can see how democracy leads to tyranny—not at some point in the future, but right now. The government has already imposed, and continues to impose, all kinds of increasing regulations and taxation (including inflation) on the average American. All of the policies that produce these effects are at one point popular with a majority of the people by the way. But being approved by the majority doesn’t in any way make any of them less oppressive. Joel Bowman: OK, well that’s a lot to marinate on for today, Nick. Perhaps next time we check in you and I can discuss some free-market work-arounds to this creeping tyranny that IM readers can use to protect their own life and liberty. Nick Giambruno: Sounds like a plan, Joel. Let’s talk soon. 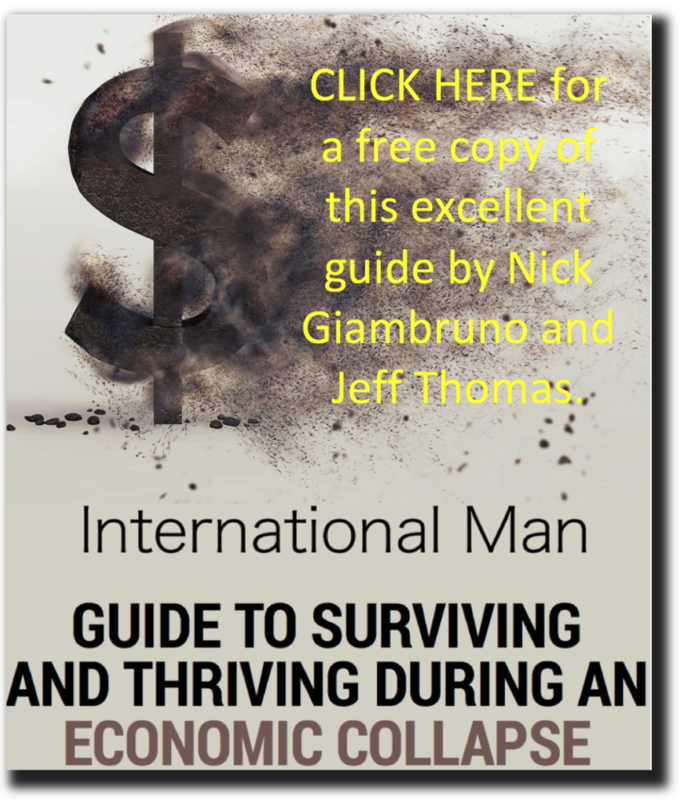 Nick—the long time editor of International Man—is now the Editor of Crisis Investing, the newsletter based on Doug Casey’s original #1 Bestselling book. He’s also the editor of The Casey Report. These two excellent newsletters keep him mighty busy, especially as he travels the globe looking for the type of investments that can only be found by, well, traveling the world. Remember, investing wisely in crises is not only good for your individual finances, but good for the people who are suffering in the crisis. It puts capital where capital will do the most good and produce the most value. Investing in Crisis is doing well by doing good. We highly recommend that you follow Nick and his writings. We’re profoundly grateful for all that Nick has done building International Man over the past many years. We’ll try to steward it well going forward. Keep an eye out for more from Nick next week.